A perfect accessory for making wall displays more artistic and an ideal accessory among arts and crafts. Child safe and can be easily cut to ensure there is no mess or fuss. 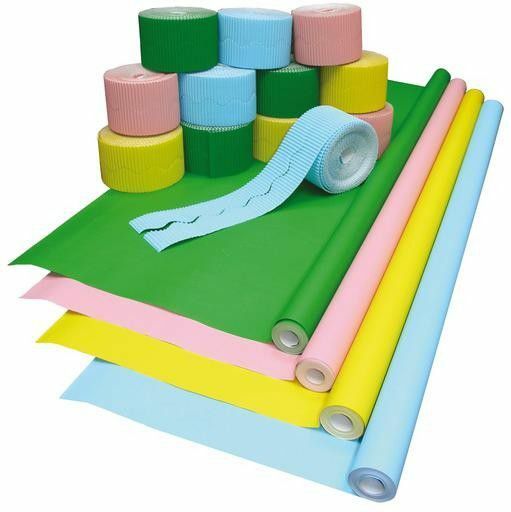 Includes one roll each of Pink, Sky Blue, Canary and Nile Green measuring 121.8cm x 15m. Also includes 12 bordette rolls three each in colours that correspond to the paper.